"Overall a great solution for some, but not without its shortcomings"
The high level of customization and 'you can pretty much do anything you want' vibe of the whole application. For instance, the way in which any team's workflows can be directly translated to a block diagram is very powerful, and the scripting engine allows for some pretty deep add-on customization. The robust API makes custom integrations easy for even an untrained programmer like myself. The admin module (workflow editor, item details editor, etc.) is very easy to use and overall a great user experience. This is often overlooked in systems like these. The concept behind workspaces and items and their relationships is easy to explain to just about any user, allowing them to cook up their own workspaces if they request them. The entire document/attachment system. There's no bulk file imports, and everything is limited to a one-to-one item to file relationship. Large workarounds and scripts must be created to accommodate some very simple document management operations. Support has indicated that this is changing, but I've seen nothing in the last year. The sourcing tab is very limited, and bulk import/export are not easy to accomplish (e.g. BOM scrubbing). While attractive, the classification module is completely useless - the data cannot be exported, reported on, or displayed in BOMs. It's also lacking out of the box integration with other Autodesk tools, even ones explicitly named Fusion! BOM management, cross-team coordination, and rapid estimate generation for our entire prefab building system. The ability to write a custom integration with Revit API has allowed us to automatically keep BOMs up to date on a project to project basis, with the simple click of a button. "Modern UI Version Needs Work"
The support from the AD team. FLC has a great potential to drive a majority of company business processes as the de-facto business process engine, but the application really needs to be stable. The modern UI version is buggy and unstable. The incorporation of cPDM with FLC is extremely flawed in security and relationships. 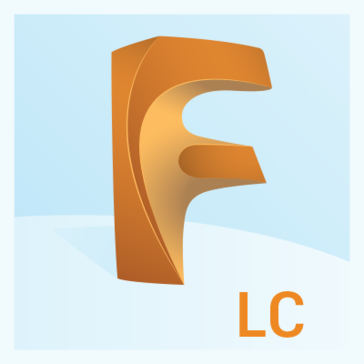 The interfaces between cPDM, Autodesk Drive, and FLC are not consistent. The document viewer has multiple bugs and the UX can be cleaned up. The UI/UX while better than the classic can be much more intuitive. Why does it take so many clicks??? The mobile app does not allow you to view attachments so it is almost worthless. System speed is also an issue. Using the system in China and Europe can be challenging. Browser compatibility is limited. Wait until the kinks are worked out. Using this system as a single source of truth for the company. We have deployed document management, CAPA, MRB, Training, and certifications and are looking to deploy BOM and NPI. Benefits have been minor due to the amount of bugs in the system. The Autodesk Fusion Lifecycle PLM system has been a welcomed addition to our process. The hosted software requires no hardware or software installs and is a breeze to get up and running with. The service seems to be rock solid (based on AWS) and we've had no trouble with downtime or lagging. The suite of tools for mobile devices coupled with the web interface means we always have access to our data, regardless of where we go and what we do. The building of all of the rules is a serious trip. It will take you quite some time to get them built correctly and many of the various menus are not co-located within the same area of the admin tools. While every PLM software takes time to get the roles/responsibilities and rules sorted, it was painful to have to navigate between menus buried several screens apart to verify functions, check spelling, etc. Since Fusion Lifecycle lives in the cloud, embrace those tools early and make them part of your process. Fusion Lifecycle has enabled us to keep our engineering process streamlined and connected. With the email and mobile based tools we are able to keep up with design change tasks and reviews across our organization, regardless of who might be out of the loop at the time. We have saved months of development time by automating design checkoffs with our customers and strategic partners. We're also able to track equipment maintenance and process failures for analysis of our entire manufacturing chain from design through customer returns. as we are already using Inventor and we are familiar with Autodesk software we have decided to go for fusion and as it is a full solution the provides all what we need it was an easy decision. The ability to customize the software to our workflow that we need to fit our company path. The fact that we can create a similar look for completely different workflows is a blessing as well for smother transition from task to task. If we do not tweak the layout often, sometimes it takes a bit of working with it to get the groove back. Like riding a bike, but a little longer re-learning curve. Any process that you need to track within your organization that needs to be tracked and used by one or multiple users. We are using it for Internal process tracking, things like software updating, miles traveled reporting and other Internal tracking needs, expanding uses to include as many workflows as we can. "Flexible and Powerful Cloud-Based PLM Tool"
I like best that Autodesk PLM 360 is an easy-to-use and easy-to-administer PLM solution that is yet powerful and has all the benefits of the Cloud and the backing of a respected software company, Autodesk. The user interface is intuitive and consistent across a company's implementation. Administrators can self-study from the extensive online help guide and the many YouTube videos available, or can confidently maintain their system after a three-day training class. Autodesk PLM 360 has deep and broad capabilities for bills of materials, change management, and quality management; including BOM compare, configurable change order process with automated notifications, and linked non-conformance reports, corrective action / preventative action and change requests. Autodesk PLM 360 can be tailored to a business' needs and can additionally be integrated with other systems (ERP, CRM, PDM). This is all provided on a cloud platform, so no hardware, installation, or manual upgrades are required! Autodesk is quite responsive to their customers and engage with them via not only customer support but also general discussion forums, new idea forum, and user conferences and events. I dislike that updates made in a development environment cannot be automatically ported to a production environment. There are alternate ways to do this, so for customers I have worked with it is not a huge issue. I have seen Autodesk PLM 360 solve problems from an uncontrolled BOM on a spreadsheet, to manual revisions for parts in an ancient ERP system, to lack of a consistent product lifecycle process. The benefits that are realized include: a single source of truth for the BOM, accessible by users from any device; properly controlled part revisions and therefore accurate data for manufacturing and suppliers; and a repeatable, documented, and approved process for product production and delivery. These benefits are attainable with a straightforward, pay-as-you-go subscription model. "Autodesk PLM 360 Enables our Business to Gain Control our Development Workflows and Critical Data"
The incredibly strong workflow and scripting engines allow us to cater the experience to our users in the way we best see fit. The workflow engine specifically allows us to create any electronic approval, notification, or work order based process that we'd like across all aspects of our business. This product is constantly being upgraded, the product management and product development teams are always seeking user feedback and making upgrades and enhancements to the product. There is room for improvement in the search and reporting capabilities but these are minor issues that we don't experience much pain from. This is an amazing product that let's you truly setup PLM the way your organization wants to use it. I'd recommend viewing some of the videos on the PLM360 YouTube channel to see how easy it is to setup and use, and contacting their sales team for a demo/trial. I run the global product development group for our organization and we need to have a global view of our project pipeline and be able to share information across regions at any time of the day. This platform allows all of our global users to access the same data in realtime. It also allows us customize parts of the workflows based on any slight variations of the process from one region to the next. Aside from global visibility this is allowing us to bring many disparate systems into one, moving from network folders to a common linked core of information about the products and boms. "PLM 360 is my favorite software to customize and integrate with"
It has room for improvement in the administrative tools for managing user metadata, controlling the dashboard and development flow from one plm tenant to another. None of these things are showstoppers and the product is flexible enough to allow many different possible workarounds. Get your hands dirty with the generous 30 day trial they offer, and engage with the PLM 360 product managers if possible. They are awesome and insightful. PLM 360 has provided process consistency and control, accountability, speed, integrated and automated workflow, and visibility into the health of our programs and root causes of issues that is well beyond our expectations. It is used for all engineering activities and related program activities from start to finish. It is integrated with our other systems like Autodesk Vault to keep schedules and tasks in perfect alignment with the release of CAD data. We continue to enhance and add workspaces and features to our tenant since we went live over 2 years ago, providing additional benefit all the time. Traceability, for example, our company uses a Purchase Requisition (PR) system to allow the engineering dept. to order equipment & materials. By using this system, anyone can trace an order back to the PR, then to the RFQ and even to the Supplier's quotes who didn't win the contract - all with the click of a button. Previously, this would not be possible as everything was actioned through emails and only available to the project team. There is currently no way to 'grey out' unneeded fields. With all processes, only certain fields are required to be completed at each stage. It would be beneficial if administrators could select which fields are required at each stage. At present the only options are to either group all the required fields in to a section and enable 'workflow locking' or use validations to warn the user that these fields should / should not be populated. The first option is not always possible as these fields may not be easily grouped as they cover different subjects or are required at different stages of the process. The second option can be frustrating as the warnings only display once you try to push the process on to the next stage. Thoroughly investigate your processes. Whilst it is easy to change processes in PLM, I feel that if you constantly have to make alterations to the process, users will get frustrated and may not 'buy-in' to the system. Once users are against something, it takes a lot of work to get them back on board. Start with implementing the easy processes. This will give users an introduction to the PLM interface and should hopefully show management some sort of return on their investment. There have been many processes developed by our admin team since we started using PLM 3 years ago. Some of these process are RFQ's, purchase requisition, holiday requests, calibration, non-conformance requests, meeting minutes. Two of the processes are explained in a bit more detail below. Our old document control system utilized a Microsoft access database and was contained on our internal server. This meant that you could only access the the database from within the company premises. Now with the document control system stored in PLM, any company employee with access to the internet can access any document they require, anywhere in the world. Previously, monitoring Supplier performance was pretty non existent. Now we have a process in place which monitors when supplier certifications expire and the number of non-conformance reports, and issues raised against the supplier. This will greatly help with quantifying positive or indeed negative feedback to suppliers. "Well rounded package with good out of the box functionality"
For a new organization setting up life cycle management, the preconfigured workspaces get you going really fast. The app store gives you great ideas on how to use the product and extend it within your organization. The staff on site are happy to help, and can assist with issues you run into. It can be difficult to adapt the environments to pre-existing workflows. Scripts are not always user friendly to manage. Once you add a workspace, its difficult to remove it cleanly, as it leaves links and data behind that make maintance painful. The interface can be slow to use though, and page load times are a common complaint. Try out a demo version, experiment, and then wipe it clean before proceeding. Currently used for life cycle management both for of individual parts and produc families, part number creation, change order control, change requestes, problem reports and serial number tracking. "Excellent platform for Cloud based PLM "
Excellent interface, very easy to program. Drag and Drop workflow development with an ease-of-use design focus minimizes development and startup time. Ability to access the software from mobile devices adds value when utilized in a manufacturing environment. Currently not able to open PDF files on a mobile device or plot Gannt charts. Calander view would add significant value. Highly recommend integrating inventory management software and investing time with the scripting backend. Be careful with company-wide roll-outs. Staged releases worked far better. Project visibility across multiple departments has dramatically improved. Easier for engineering to see current parts stock when integrated with an ERP system. Scripting automates part configurators without requiring additional software suites. "Improves productivity and the way we work"
Provides a lot of improvements over previous versions. Allows the user to take control over their work with the help of the software. All data is available for the user immediately. Automates important jobs and small to-do items which helps with better maintenance of people, project and the workforce. Allows version control features by keeping log of changes. Does not deliver the perfect solution to replace other products and PLM alternatives. It is worth giving a try and exploring. There are a lot of features and the cost is not unlike the other products out there. It helps me organize all spreadsheets, docs, powerpoints in one place. Provides many configurations for the user to take advantage of. Cost and Quality update and management are important features covered. The reporting is not cross workspace, not being able to search in the custom scripts for certain words or symbols and the outstanding work is not reliable. Fusion has helped us organize our work and get us away from paper copies. We are using Fusion in our Sales, Drafting, Engineering and Estimating departments, to track the order from beginning to delivery. "Exceptional Software by an Exceptional Company"
I like the ease of use and administration of the software and that it's cloud based so not too biased on IT involvement. It's easy to setup using basic IT skills and so can be introduced to a wider audience for now. Cost. It's quite costly compared to other PLM variants out on the market. However it does do a good job. Once you get used to it, it is fairly easy to navigate. It allows the company to have all product information in one location instead of scattered through our shared drive. When the sales pitch is that you can do everything yourself - you don't need to be in IT or need IT's help. Its not true. We needed help, lots of it, which ends up costing a lot of money. Might have well have invested the money up front to have it set up the way you wanted. However, that is not what was presented to us. The main benefit we have found is being able to look up current product specifications and being able to look through the history of the item. "Promising tool that needs a lot of optimizing"
web based platform, hugely customizable and supported very well by autodesk. I also like charting my reports into my dashboard for a quick snapshot of outstanding items etc. slow loading and searches, refresh cycles are sometimes stalled unless manually driven. needs a better critical path and scheduling tool for project management. go to a training event hosted by autodesk, they are well run and highly valuable. new product introduction and launch, intensive BoM and drawing organiziation, generation of PO/PR requests, ECO/ECR processes, logistics requests, quality and test report logging, overall project lifecycle management. "Has been associated with Autodesk PLM 360 for almost 5+ years for better process management." Autodesk PLM 360 features and workspaces work together to perform critical business functions. PLM 360 improves the way one works instantly with its advanced and specific features like document control, new product introduction , supplier management etc. Autodesk PLM 360 is extremely cost effective and it gives a deep insights into the product development so one must try it for a perfect business solution in a cost effective way. product lifecycle management solution designed helps me to improve the way organizations manage processes, projects and people. It ensures everyone has access to the right information. The product is easy to begin using and training users is easy. The fact that the product is accessible from any computer makes it more attractive to on the go and high placed work environments. The reporting feature in the product stills needs some tweaks as well as copying workspaces from tenant to tenant. We are using PLM for change management, specifically BOM management. The BOM compare feature is great as it allows cost comparisons. The multiple BOM views are great for multiple department uses. "Powerful Program but needs thorough training"
Keeps track and organizes work load and forecast. Completely customize-able to suit the program to your companies needs. VERY LARGE LEARNING CURVE. iF YOUR COMPANY DOESN'T INVEST IN PROPER TRAINING YOU WILL NEVER KNOW HOE TO USE IT TO ITS FULLEST POTENTIAL. we have solved our scheduling issues in out plant. it helps create a timeline of the products life from quoting to the end of the products life. "Agile and accessible anywhere - this system is like no other PLM out there"
Before Autodesk PLM 360, you needed an army of consultants, millions of dollars and heavy infrastructure to have a PLM system that would work. Not anymore. The agility, flexibility and accessibility of PLM 360 is probably one of its biggest advantage. Small and medium businesses don't need to rely on spreadsheets to drive their product development / BOM and change management processes anymore! 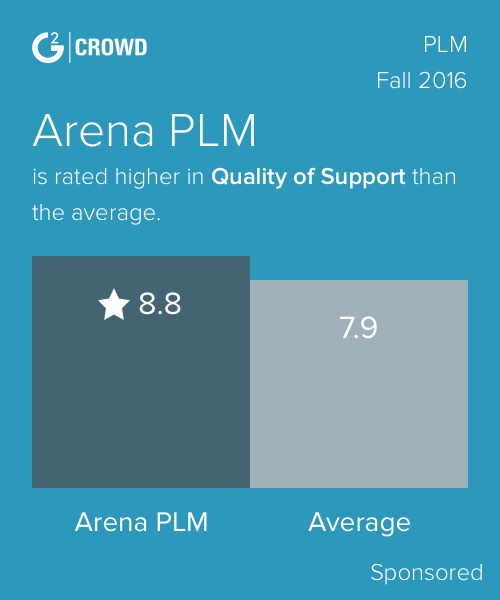 While you might need some help and coaching on PLM 360 to get started, you'll be able to deploy it within weeks and continuously improve and scale. Autodesk PLM 360 is a young system and it is exciting to see how well it is evolving and how Autodesk is listening to the industry comments and requirements. As mentioned above, PLM 360 is a young system, so it is still lacking a few functionality. However, I don't see this as a problem since I know how responsive the Autodesk team is. Actually, this is an opportunity for users and administrators from everywhere to make the system better. And being cloud-based, the enhancements and fixes are pushed seamlessly. Use the trial, play with it and when you're ready, partner up with a PLM 360 Solution Advisor to get a good start. Prioritize your needs - it's easy to get excited and to want to do everything at once! Just take a few steps back, plan and execute phase by phase. No more looking around to find information - PLM 360 is one single place where you'll find everything. "Useful for ensuring requirements are incorporated into the end product"
All the information for a program is located centrally and dependent relationships can be created to link critical items. It is slow and my group (certification) is not fit as well by the templates as engineering is - apparently updating the code for our group is not easy enough to make it worth while (mainly document flow types). I am linking DO-160 qualification requirements to their system testing further down the line in the program in order to certify the product. Different people, longer timelines and PLM helps to ensure the deliverables are dependent on my requirements so they are not lost. "A great cloud-based tool to access and distribute data"
Autodesk Fusion Lifecycle is an excellent PLM software. Very easy to install and manage, excellent user interface, and never faced any functionality issues. Accessing some specific file types over mobile devices might cause issues at times but I believe that's something being improved right now. When considering cloud-based PLM systems, this software is a no-brainer option. You'd be able to integrate this into your workflow very easily in a short period of time. "An amazing system with unlimited possibilities"
One of the best systems I have ever implemented, it is dynamic and adaptable while maintaining a high level of control and audibility to our teams. We've been able to grow exponentially while adding zero head count thanks to the power of PLM360. The current versions' UI is old and outdated. However, its new release (which has already been privately shown) is much faster, so this is temporary. Start slow and think smart. We are solving for a reliable way to command and control our product development. This has been solved for without adding any headcount. "Total believer in the product"
If you feel like your company is not flexible because of the complicated infrastructure and tools then PLM is the tool for you. Un-flexible SAP system. Much better visibility. "Eficient way of capuring, storing and distributing company's data." 1) The ability to accurately store information. 2) Being able to consistently create documentation under the company's standards. 3) Having this data available and easily retrieved across the entire corporation. The lack of control for duplicate entries. PLM will allow the user to create more than one record with the same keyword. Unlike other applications, there is no filter to point out that there is already a current record available in the system with the same contents. I am a documentation specialist. My job is to gather and document the company's data that is either stored under a different application or not readily available. The later being data that is used mainly by one person but that could benefit the rest of the team. everything worked..I guess? You can add functionality, which is really nice. I went to a PLM meeting in Novi, MI which i thought was really helpful. Get someone who knows it inside and out! "Great System to work in!" The workflow processes - especially visibility of what state a current project is in. Also the assigning of tasks with that flow and project completion. The lack of project timeline management - we would like to see greater control of timelines and project completions based on the completed tasks and uncompleted tasks. Beware of the consulting and training costs involved. Solving the NPI process and shortening the length of time it takes to bring a product from idea to finished goods. Ease of use for those not familar with programming. Heavy annual license costs for Enterpise contracts. We are using Fusion Lifecycle PLM for our Supplier Database/Supplier Approval systems with an eye to future opportunities. I love how automated I am able to make simple jobs and even complicated ones. There are a few bugs that make it sometimes difficult to work with. * We monitor all Autodesk Fusion Lifecycle PLM reviews to prevent fraudulent reviews and keep review quality high. We do not post reviews by company employees or direct competitors. Validated reviews require the user to submit a screenshot of the product containing their user ID, in order to verify a user is an actual user of the product.